One of Manson`s young followers, Susan Atkins, stabbed Tate to death and scrawled "PIG" on the home`s front door with the actress`s blood. Four other people at Tate`s home were brutally stabbed to death. The next day, a wealthy couple in Los Angeles, Leno and Rosemary LaBianca, were also killed by the clan. The killings became known collectively as the Tate-LaBianca murders. Manson was not at the scene of either slayings, but was nonetheless convicted of murder for directing his followers. He was sentenced to death in 1971. 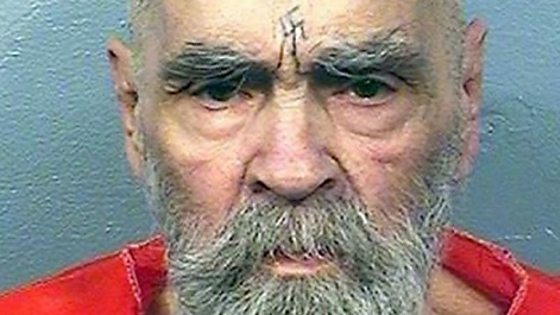 Manson "died of natural causes at 8:13 pm (0213 GMT Monday) on Sunday" at a hospital in Kern County, the California Department of Corrections said in a statement. He had been in custody for more than 40 years. Tate`s sister, Debra told the TMZ website that she had received a phone call from prison officials shortly after Manson`s death. Gathering young followers around him in the late 1960s, Manson claimed to believe in a coming race war in America. He planned to hasten the war and emerge as the leader of a new social order - a vision he nicknamed "Helter Skelter", after a Beatles song Manson became obsessed with. Death penalty Before Manson`s death sentence could be carried out, California outlawed capital punishment and his sentence was reduced to life. Over the course of his four decades in prison, Manson applied for parole 12 times. At the last, in 2012, the parole board said he had not appeared to have made any efforts to rehabilitate himself. He was not a model prisoner, having been caught in possession of a weapon and contraband mobile phones. In 2014, Manson was granted a marriage licence to wed a 26-year-old woman who said she loved him, but the licence expired and the marriage did not go ahead. More than four decades after the brutal killing spree, the Manson family`s actions, retold through books, films and music, continue to haunt the American consciousness.